I was so happy to wake up this morning to the sound of rain. That meant I could roll over and snuggle deeper into my bed. Perfect! ….Some days I’m such a slug! 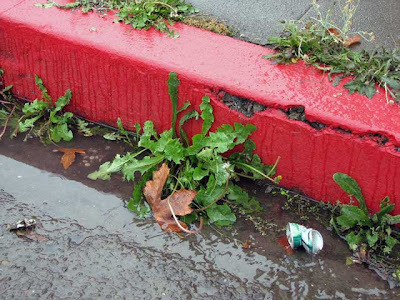 So, of course, what do I find posted on Jan’s “Walking Berkeley” blog this morning? Thanks Jan. I needed that. I’ll give it a try. Honest! 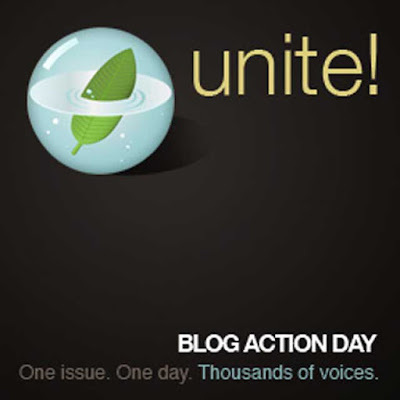 Blog Action Day was a big success. The topic was “The Environment”. If you check through them you will discover "WalkingFortBragg" is number 18,794! I always was a late bloomer!! One great resource this event generated is this list of the blogs that participated. I spent most of yesterday “surfing” through these various blogs and found some very interesting and helpful ones. Green as a Thistle is a young woman’s blog about wanting to do something “green” every day for 365 days! She is finding it ain’t easy! I wound up reading this one starting at "Day 1"! Tree Hugger is a major information forum about anything “green” you might be curious about. And, of course, there are thousands and thousands more. Well worth checking out on a, “Rainy Day”! Good info. I like Green Thistle, especially day 215. It works.